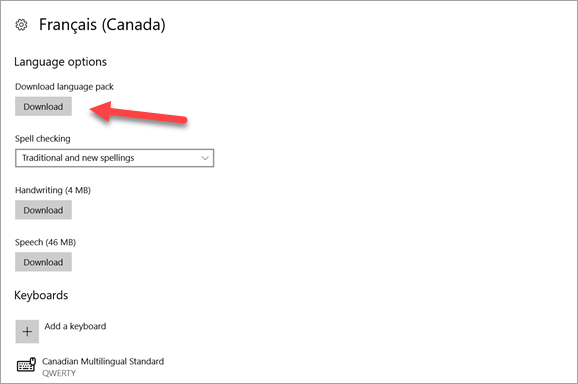 It is now more and more common for people to use multiple languages for work and life, and Microsoft also allows users to switch display languages on Windows 10 computers. 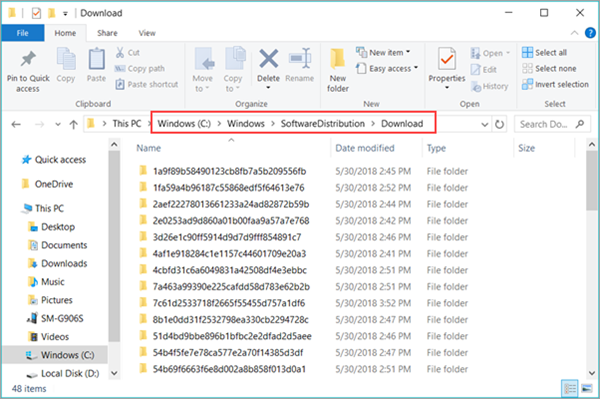 This article will guide you through Windows 10 language pack downloading and installation process in two methods step by step. In case you are facing problems, like language pack not downloading or your Windows 10 is single language edition, we also provide useful solutions and suggestions. For end users, what we can do is installing language interface pack, which is partially localized for some languages. This explains why you might install a Portuguese language pack, but still get some parts display in English after a reboot. See diagrams for details here. 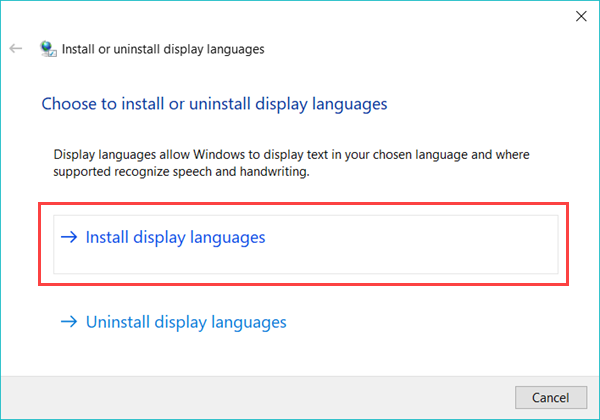 For Home and Pro edition users, the easiest method for installing Windows 10 language pack is using Windows Update. Depending on the Windows 10 version of your computer, the specific operation may slightly vary. Here is an instruction for Windows 10 Pro, 1703 build. Step 3. Choose the language you need. 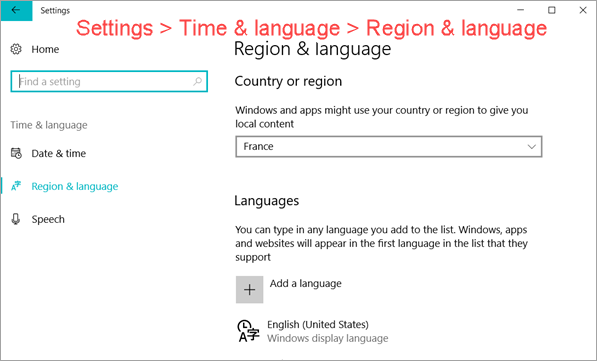 You may also need to choose specific region if it is English, French, etc. Step 4. Click the language pack you just added, then click Options > Download language pack. Here you can also download Handwriting and Speech pack. Step 5. Go back to the previous screen when the download is complete, and then click Set as default. If everything goes well, the display language should be changed after a reboot. 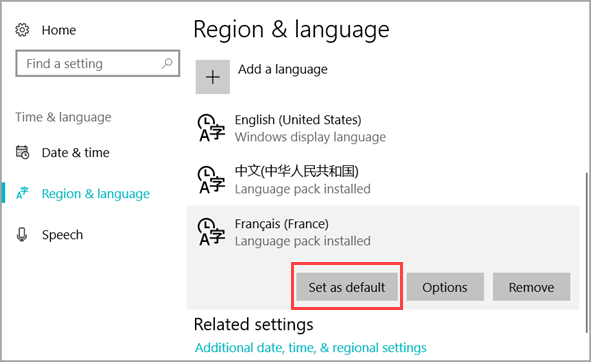 Alternatively, since Windows 10 still keeps Control Panel, you can also go to Control Panel > Clock, Language and Region > Language, then choose Add a language, and set it as the primary language. Step 1. Open Windows Explorer, go to C:\Windows\SoftwareDistribution\Download. Step 3. Go back to the language pack page and try downloading again. Now the language pack should be downloading, and you can set it as default display language as described above. You can also download language pack files (aka. CAB files) and install them manually. Since Microsoft doesn’t provide official direct download links for end users, you may need to search for language pack files on search engine, which is actually also very convenient. 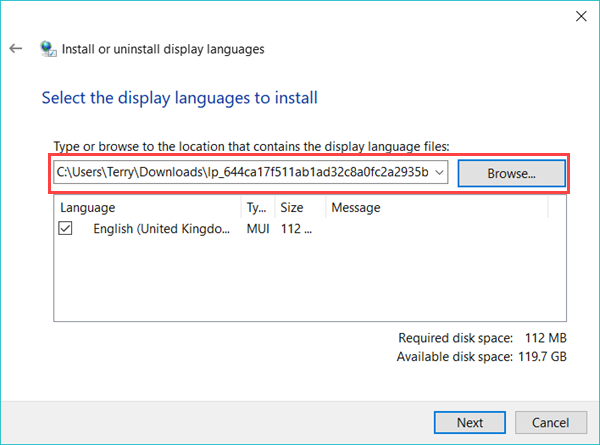 Just make sure the language pack suits for your Windows 10 build. Step 1. Press Windows key + R, type lpksetup and press Enter. 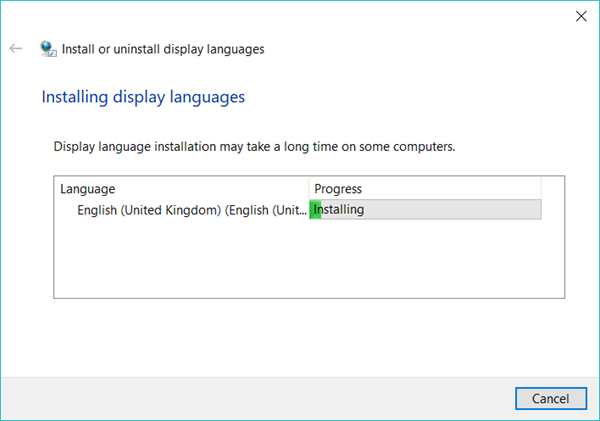 Windows 10 single language is basically Windows home version, but with only one system language. It is usually pre-installed in some Windows laptops, and the users cannot add or change UI display language as Pro version users do. The best solution for Single Language Windows 10 is to upgrade to Pro version.